Ministry of Power has electrified 56 villages in Jharkhand last week. The villages belong to various districts of Deoghar, Paschimi Singhbhum, Purbi Singhbhum, Palamu, Saraikela- Kharsawan, Kodarma, Bokaro, Chatra, Ramgarh, Dhanbad, Giridih. “Electrified 56 villages in Jharkhand last week. 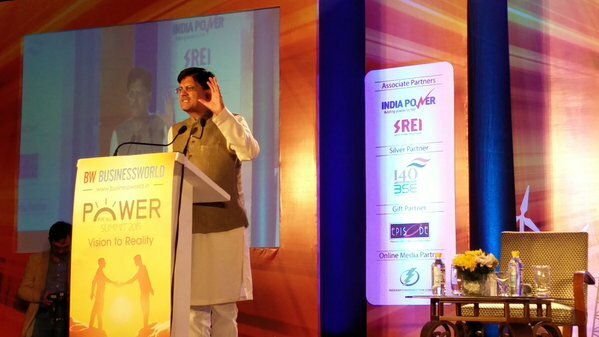 Finally, people of these villages can avail the benefits of power”, Shri Piyush Goyal, Union Minister of State (IC) for Power, Coal and New & Renewable Energy, tweeted. In view of the Prime Minister, Shri Narendra Modi’s address to nation, on Independence Day, Government of India has decided to electrify remaining 18,500 un-electrified villages by 01st May, 2018. The project has been taken on mission mode and strategy for electrification consists of squeezed implementation schedule of 12 months with 12 Stage milestones for village electrification monitoring with defined timelines.